Nenilein is creating context, where there was none. My Mission: Over-analyse, criticize and fangirl about everything. In my 11+ years of nerding on the internet, I've made a habit of spending way too much time creating meta-analysis of video games and animation, as well theorizing about them and creating my own writing and artwork. So eventually, I just decided: "Hey, why not share all this stuff I'm doing with the masses and make a couple of people happy? Everyone likes happy people!" I have a huge interest in creative/interactive storytelling, animation and culture. Pair this with my ability to speak three languages (German, English, Japanese), my 4+ years of actively studying Japanese culture at university (including one exchange year of actually living in the country), and my love for writing analysis of fictional texts, and you got yourself a good idea of what exactly my content is like. 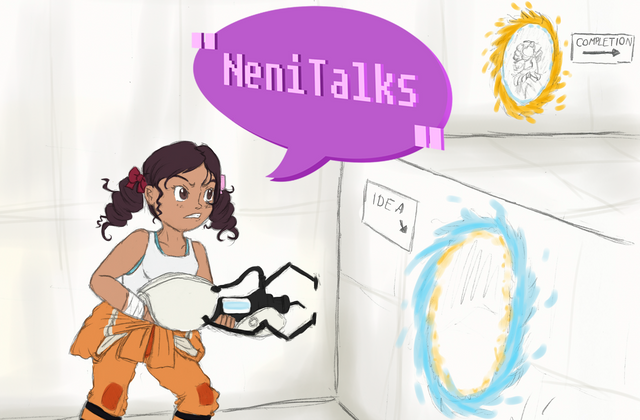 On my blog, "Neni's Refuge", I write Fandom Meta, answer questions regarding the lore and trivia of franchises I enjoy, put Japanese games and shows into the context of their culture, and sometimes translate Japanese Video Game News or Dojinshi to English. This blog currently has a huge focus on the Persona series of video games, but a more expansive (yet incomplete) list of my interests can be found on the "about" page. On my Youtube Channel, I host shows such as Lost in Context, a show about explaining the context behind the lore or themes of media (currently mostly the Persona Games, but I plan to expand), Neni &Friends, where me and my team Let's Play games (sometimes as livestreams) and bestow our own, personal brand of rambling upon them, A Look At, where I introduce some lesser known things I like and review them a little, Neni Talks, where I give my personal opinion on news and subjects, and other, assorted nerd-nonsense. That aside, I also draw a lot, the results of which can be viewed on my DeviantArt Page, as well as in my Blog's Art Tag, and I'm an aspiring (but slow) writer with several novel-projects on the back-burner, one of which I hope to finish soon. My policy states that my Patreons may ALWAYS ask for a refund for any specific month in which I did not cater to your specific expectations. I know that due to constantly jumping-around nature of my projects the hiatuses between certain updates can be rather long, which is why I respect that people's choice to only support me when they feel like have done something worth support. Your name or handle (whichever you prefer) will appear in the credits of every video I produce and on a page on my blog. Additionally to the 2$ rewards, you'll get access to various WiP stuff, such as excerpts from scripts, artwork I'm doing, or Audio-only versions of Lost in Context episodes before the actual episode is out. If you have a tumblr (please send me a message if you do), you'll also have priority on getting questions you send to my blog answered, meaning I'll have to answer your question as soon as possible. Additionally to the 2$ and 4$ rewards, I will write a short poem about your name/handle for you and read it at the end of my next video in the most dramatic voice I can muster. You get a pencil drawing of your choice from me, for free! If you want, I'll record myself while drawing the thing and upload it as a speed-draw to my channel. 2$ and 4$ rewards included in this one. These keychains are made from shrink-foil and durable like the industrial deal. You can have any design you want, as long as I can draw it! No limits to your imagination! 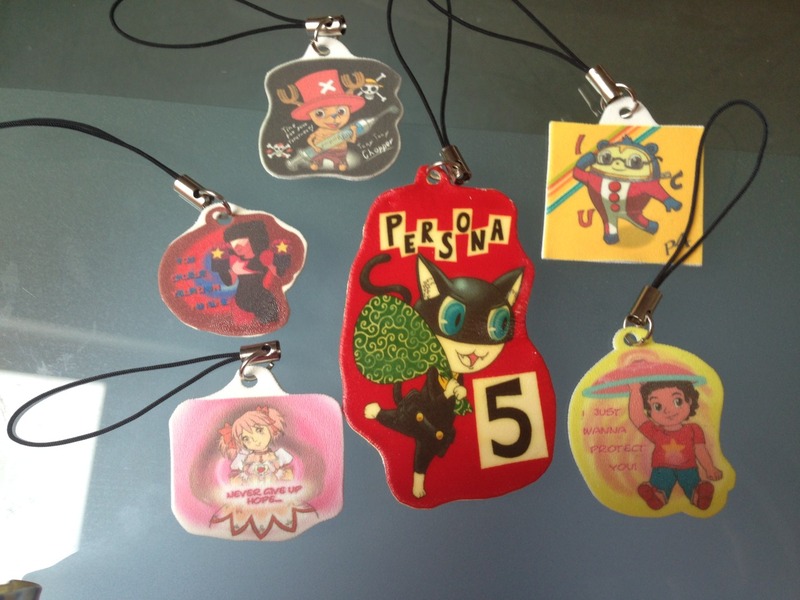 As a thank you for supporting me so much, I will make you your very personal keychain that nobody else has in the world. Anyway, your reward for this is getting to request a video from me. Any video. Even if it doesn't fit into Lost in Context at all. A review, a ramble, Let's Play, or me just doing something really dumb like reading something of your choice aloud and in front of my camera, everything goes! The only limits are that it need be inside my comfort zone, legal and Safe For Work. I'm not up for humiliating myself in front of camera, my friend. I'll get an actual camera and a better mic and invest in an editing program that won't crash on me every five minutes, ensuring faster output and better overall quality.